At Texan Chrysler Dodge Jeep Ram, our highly qualified technicians are here to provide exceptional service in a timely manner. From oil changes to transmission replacements, we are dedicated to maintaining top-tier customer service. Allow our staff to demonstrate our commitment to excellence. The Texan Chrysler Dodge Jeep Ram finance team is ready to go to work for you. Finding a great financing option for you is our #1 goal! Let the staff at our CJDR dealership make the process of buying a new car easy. Texan Chrysler Dodge Jeep Ram became part of the Ken Garff Family in 2012. At Texan Chrysler Dodge Jeep Ram, we always maintain competitive new and pre-owned inventories of Chrysler, Dodge, Jeep and Ram vehicles. Staffed with experienced sales representatives and top trained technicians, we’re here to provide a fun, easy, and efficient automotive shopping and service experience. Stop by our dealership today at 18555 HWY 59 N to see for yourself! We are proud to serve the following areas: Humble, Houston, Spring, The Woodlands, Liberty, Aldine, Atascocita, Shepherd, Porter, Tomball, Jersey Village, Splendora, New Caney, Conroe, Dayton, Kingwood, Harris County, Baytown, Channelview, Galena Park, Sheldon, Crosby, Cleveland, Livingston, Mont Belvieu, and beyond. We also offer commercial products for Houston, and beyond! Are you wondering whether a RAM 1500 or a Jeep Cherokee is best for your outdoor getaways? Or maybe you’re looking for more information on the Chrysler Pacifica van? No matter what it is that you’re looking for, our dealership is committed to providing you with all the information and knowledge you need to find the car, truck, or SUV that’s perfect for you. 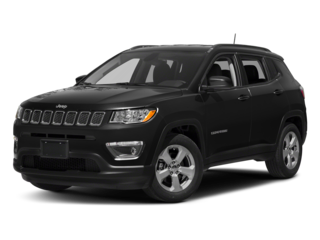 If you are looking for a sporty Dodge Challenger or a powerful new Dodge Durango or a Dodge Journey near Houston, Texas, Texan Chrysler Jeep Dodge RAM in Humble TX has the inventory on hand. Now, if you can’t decide if you want to lease or finance your next vehicle, our experienced sales staff is ready to help investigate financing options. Even if you have poor credit or no credit at all, our team of finance experts will work hard to help you secure the car loan you need. Please fill out our online finance application today! 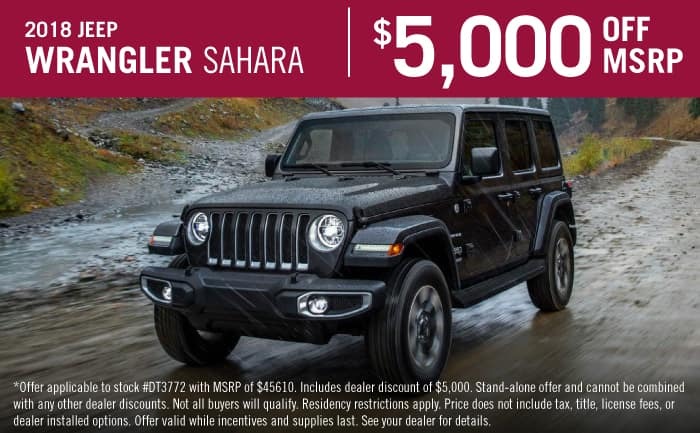 Not only does our dealership have top-of-the-line offers on new car models, but our car, truck, van, and SUV dealership in Humble TX also offers certified pre-owned Chrysler, Jeep, Dodge, and Ram models. Our Chrysler Dodge Jeep Ram dealer maintains a large selection of affordable used cars for sale near Houston TX. Each of our certified used vehicles undergoes a thorough inspection from one of our certified technicians, guaranteeing it has been well-maintained. Contact us at (877) 704-6801 to discuss trade-in options, schedule your test drive, or learn more about our used car selection. Is your car making strange noises or not running as smoothly as it once did when it was new? Don’t worry, our state-of-the-art Chrysler, Jeep, Dodge, and RAM service center in Humble Texas has skilled technicians dedicated to getting the job done quickly and correctly. Our dealership’s experienced team in our service center can assist you with everything from a basic oil change to more serious electrical and mechanical issues with your car, truck, van or SUV. At our dealership, we do our repair work to precise factory specifications to maintain your vehicle and keep your vehicle running at its peak performance. We understand that you have a busy schedule and need to get work done now, which is why we accept walk-in or you can schedule your appointment ahead of time by phone or online. We are proud to serve the following areas: Humble, Spring, Houston, Aldine, The Woodlands, Atascocita, New Caney, and beyond. 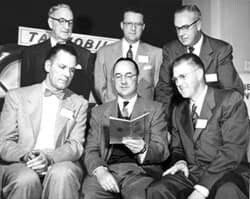 Ken Garff founded his automotive business in downtown Salt Lake in the year 1932. It was founded upon principles of honesty, integrity, and personalized customer service. Ken was extremely community oriented and best known for his personal dealings with customers. 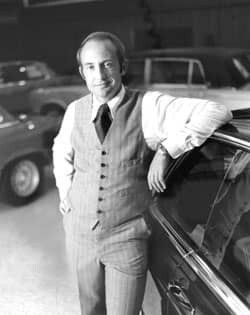 Ken’s legacy lives on, as the Ken Garff Automotive Group has over 50 stores throughout Utah, Texas, Iowa, Michigan, Nevada and California, with today’s sales totaling over $1.5 billion. The brand slogan is “We Hear You”, showing the Ken Garff Automotive Group’s commitment to customers and giving them an exceptional experience.